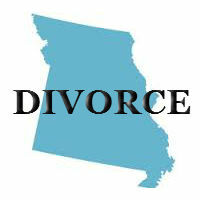 Do You Live In Missouri and Are Considering a Divorce? There are many questions that couples who live in Missouri and considering a divorce have. Each state has a different set of requirements and laws when filing for divorce. The Law Office of Leslie A. Williams recommends that before you file for a divorce that you speak to a family law attorney. In Missouri the court will grant a divorce if you and your spouse are in agreement that your marriage is irreconcilable and that that the marriage cannot be saved. This type of divorce is considered a no-fault divorce. However, if one party in the divorce wishes to stay in the marriage and does not want a divorce, then the spouse who has filed for divorce must prove one of the following: abandonment, adultery, intolerable cruelty, or that the parties have lived separate lives and not with each other for a period of at least one year by mutual consent or two years without mutual consent. If you have recently moved to Missouri and are considering a divorce you need to know that you must have been a resident for least 90 days before you can file for divorce. Missouri law allows you to file your divorce petition in the county where your or your spouse lives. After you file there is a 30 day waiting period after filing the petition before the court will grant a judgment of divorce. Missouri uses equal distribution for division of property. This means that a judge will divide your property and any debt acquired during the marriage. When this happens it is seen as a fair and equitable division. However the division may not necessarily be exactly equal. If you and your husband or wife agree on division of property then you may not need the assistance of the court. Please know that the court will consider several factors when dividing your property. The economic circumstances and overall financial contributions during the marriage to the home and any value of non-marital property. The parent who has primary custody of the child my be awarded the family home. Any property that was acquired before the marriage, or during the marriage by gift or inheritance, will be the separate property of the spouse who acquired it. Missouri courts will always be guided by the best interests of the child with a divorce. If the parents submit an agreed upon custody arrangement to the court it will likely be granted if it is in the best interests for the children. The court will look at a multiple number of factors if If the parents cannot agree on custody arrangements. Some of the factors that the court will look at are, the child’s relationship with parents, wishes of both the parents and children, which parent will encourage the child’s relationship with the other parent, is adjusting to home and school, does the children participate with friends and other family members. This is not a complete list but a general overview of what the court will look at. The court’s goal is to provide all children with as much involvement with both parents. In most divorce cases child custody and child support are part of the settlement. Missouri uses state guidelines and a formula based on the combined income of both parents to determine the amount of child support for each child. The parents’ and child’s needs and financial resources are also considered. Known standard of living for the child along with educational, emotional and physical needs are taken into consideration. If you are considering a divorce and would like to estimate the amount of your child support obligation you can do so by going to the Department of Social Services. The DSS of Missouri also enforces child support obligations. With some divorces Missouri courts can order one spouse to pay alimony or maintenance to the other spouse. As with child support the court will look at each spouse’s financial resources, earning capacity, assets, and debts and the duration of the marriage to consider maintenance payments. During the marriage a standard of living established and one spouse may be required to help maintain that standard of living. However, conduct of each spouse during their marriage can also be taken into consideration. Any amount of alimony awarded may be modified at a later date if either spouse has a significant change in circumstances. If you are considering divorce in Missouri and your divorce is an uncontested case or involves more complex issues like custody of your children or spousal support, Leslie can help you close one chapter of your life as smoothly and painlessly as possible so you can stay focused on beginning a new one. Call Leslie A. Williams today at (816) 533-4331 or use our web submission form to speak to an expert divorce attorney in Missouri.